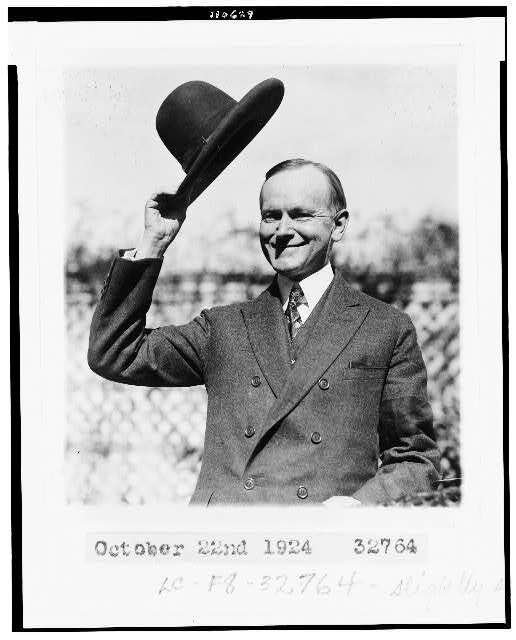 American Memory last week recalled Calvin Coolidge on the anniversary of his ascent to the presidency. If you go to the Library of Congress' corresponding collection of sound recordings and listen to President Coolidge speak, you will note in his Mr. Pepperidge Farm locution more than a hint of Bert & I. The Flying Yankee, a sleek diesel train of the 1930s, is being restored. You can buy naming rights to a seat, a car, or the baggage compartment. The Smucker's principle suggests that, with a name like Chandler Woodcock, the GOP candidate for governor of Maine has to be good. 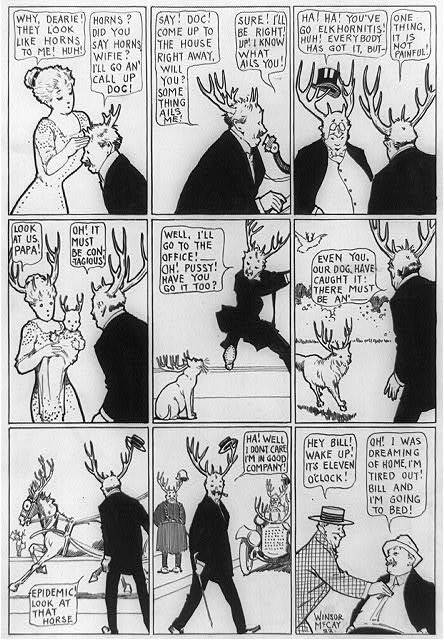 But it's the bowtie that seals the Irish Elk endorsement. We want a woman in the White House, we want some hist'ry to be made....To make the country hustle, give Uncle Sam a bustle, and make the Gen'ral Staff the ladies' aid. We want a woman with some know-how....Someone to carry on the fight....She'd eliminate a war and be home again by four, She's a woman and a woman's always right. She has a secret weapon that would cast a peaceful spell. It's "Bingo" played by Hotline with Nikita and Fidel. Evacuate the Pentagon; On this we're standing pat....But leave the building standing and we'll put in a laundromat. WE WANT A WOMAN IN THE WHITE HOUSE, Someone who really knows the score she would make the G.O.P. join the Democrats for tea, With a WOMAN IN THE WHITE HOUSE, and you know that it’s the right house, with a woman President in Sixty-Four. That's Leverett Saltonstall, on the right, in a Boston Braves uniform at Fenway Park, circa 1940. And here is a vintage 1940s Saltonstall campaign elephant figurine.